Tawna Grasty, AMTA Scholarship & Grants Coordinator is looking for some willing Scholarship Reviewers (5-6 volunteers) that will be part of the AMTA Scholarship Review Committee. This is a great opportunity for NER-AMTA members who do not have the ability to be involved in large, year round projects, but DO have the ability to work from home for short periods of time. By agreeing to be a Scholarship Reviewer, you must be a current AMTA member and a professional member. Those selected should be available to serve as reviewers for at least three AMTA scholarships offered within the calendar year (January 2019 – December 2019). As you remember, reviewers are provided with applications and rubric sheets to assist with the review of required documents. Reviewers typically have 7-10 days to review applications and return results to the Scholarship Chair. If you are interested, please send your name and email address to president@musictherapynewengland.org before 2/1/19. 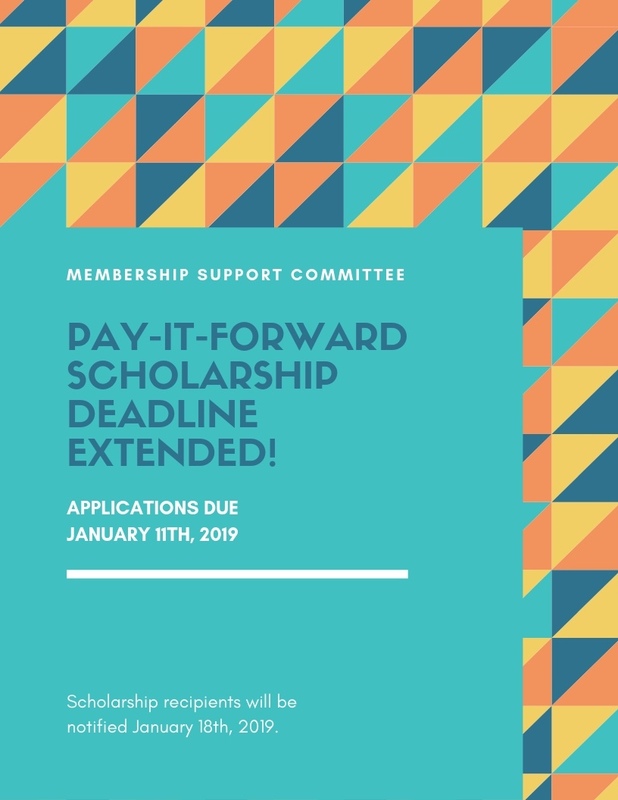 The Application for the Pay It Forward Scholarship is being EXTENDED to January 11, 2019. The link to the application is listed below. 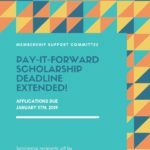 Questions about the scholarship can be directed to membershipsupport@musictherapynewengland.org. Scholarship applications due by January 11, 2019. Recipients will be notified by January 18, 2019. Share this application with your friends and colleagues in the New England region – we hope to award as many scholarships as possible! Webmistress Mulcahy | Comments Off on Membership support deadline extended. NER-AMTA is thrilled to continue supporting its members through the Pay it Forward scholarship for a second year! As part of the Pay it Forward campaign, NER-AMTA asks applicants to commit to a non-financial contribution to the region, in exchange for partial coverage of AMTA membership. In this way, awardees will pay their membership assistance forward to support the profession and music therapy in the New England Region.